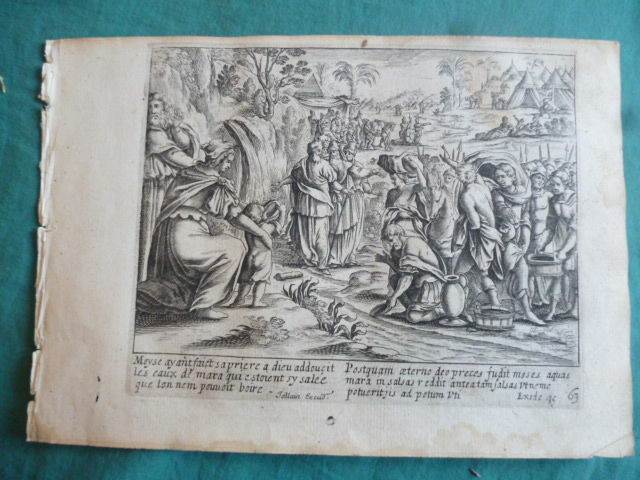 Well preserved. 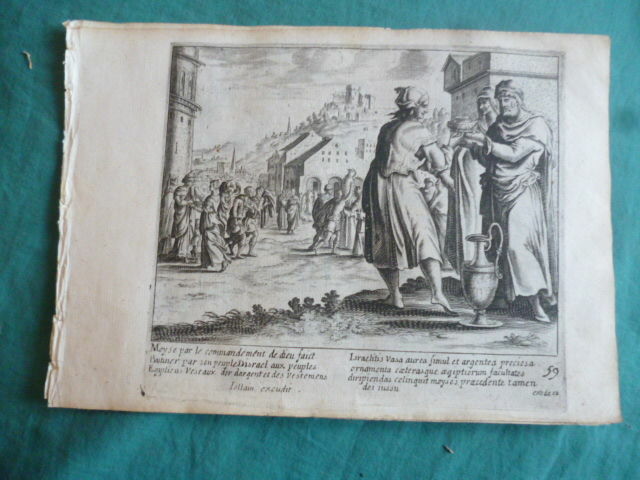 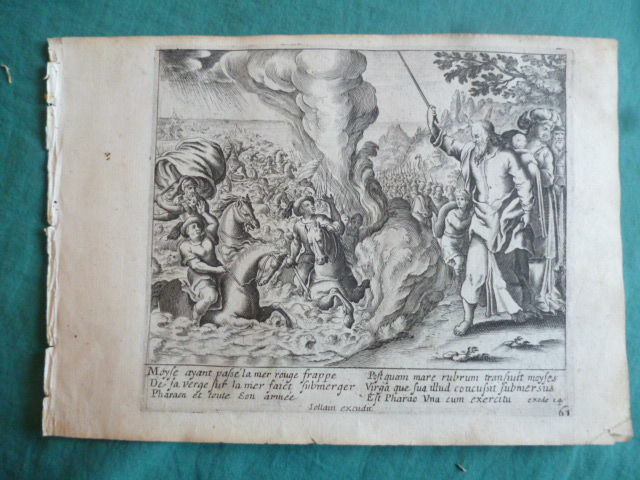 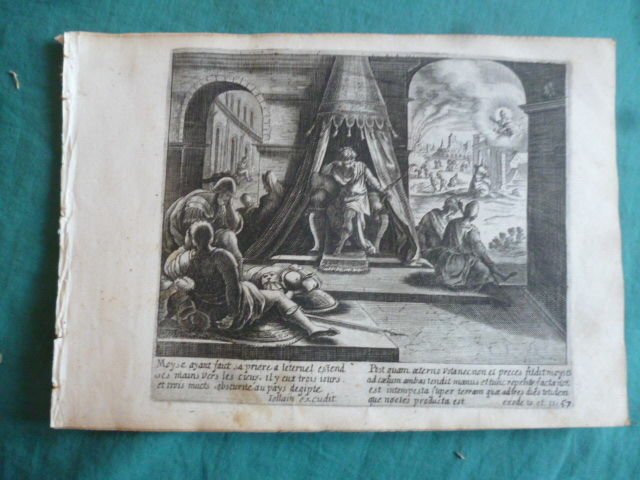 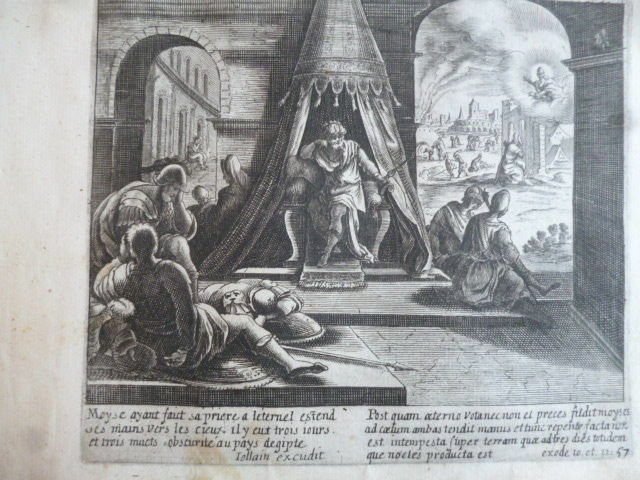 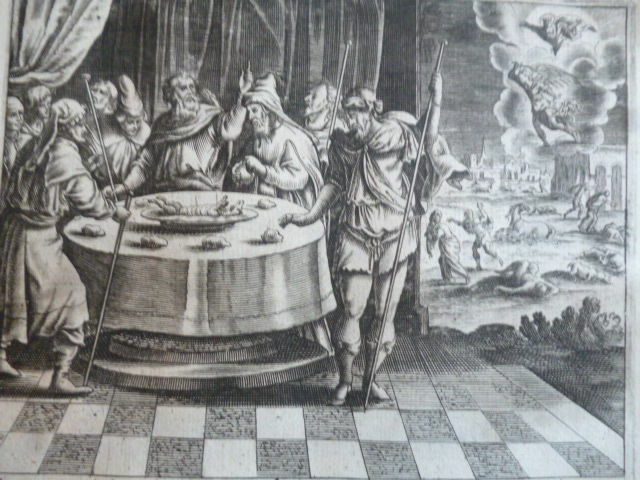 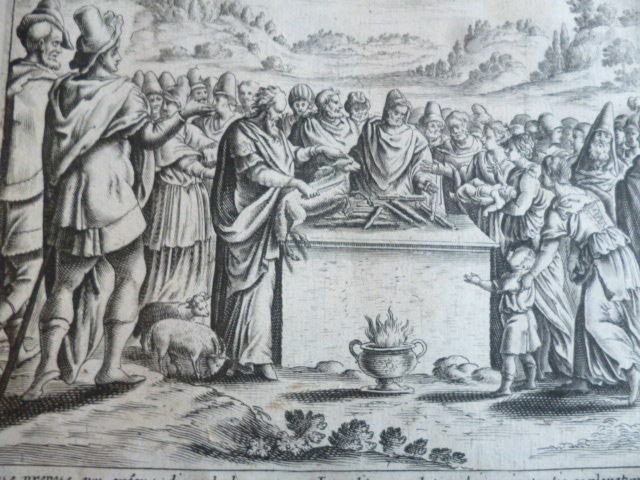 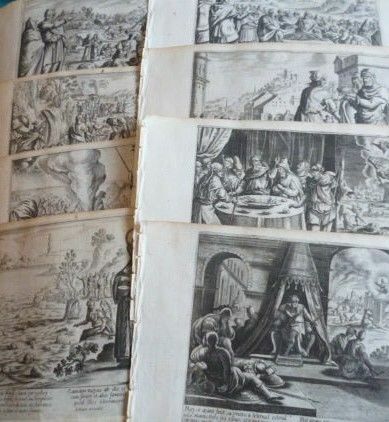 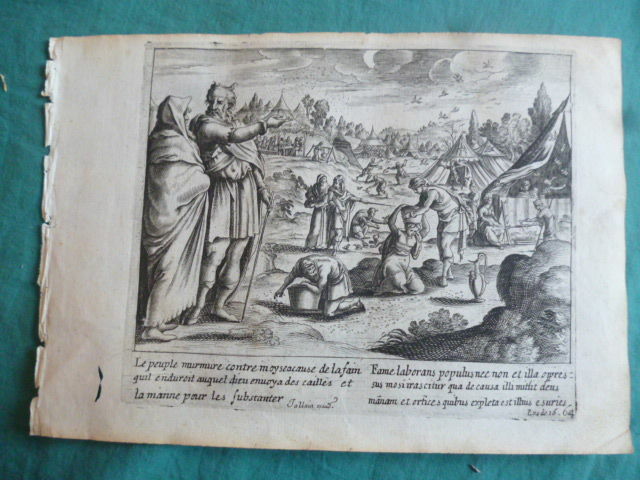 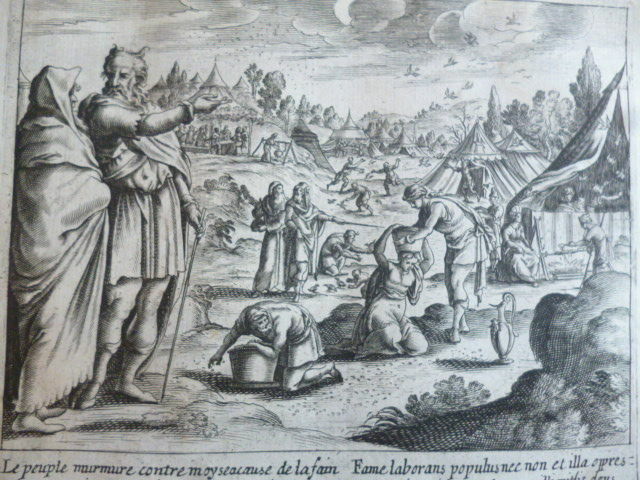 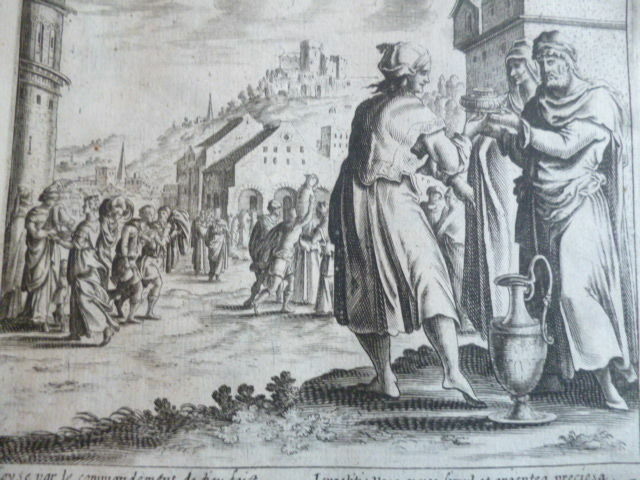 Eight original prints from “La Saincte Bible contenant le Vieil et le Nouveau Testament enrichie de plusieurs belles figures. 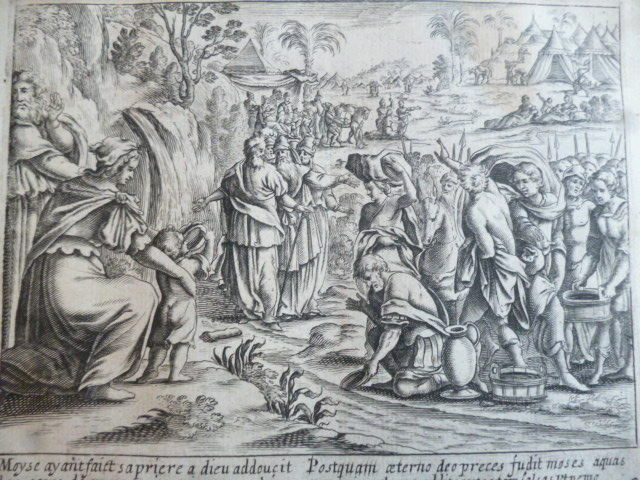 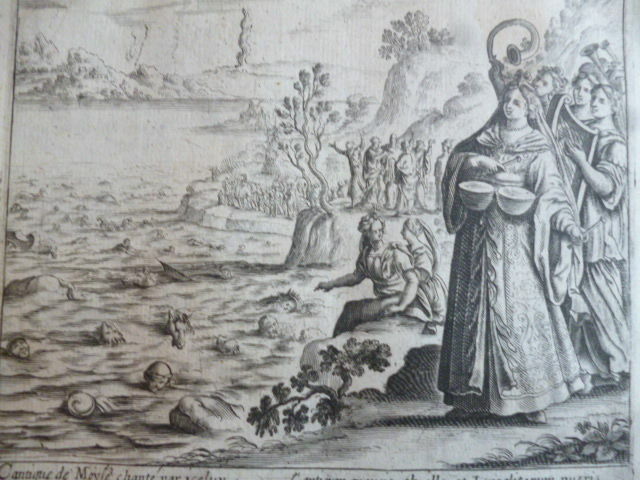 Biblia sacra novo et vetero testamento constantia eximiis que sculpturis et imaginibus illustrata”: a series of engravings that Gerard Jollain (first mentioned in 1660, died in 1683), merchant of prints and refined engraver, engraved at the end of the seventeenth century. 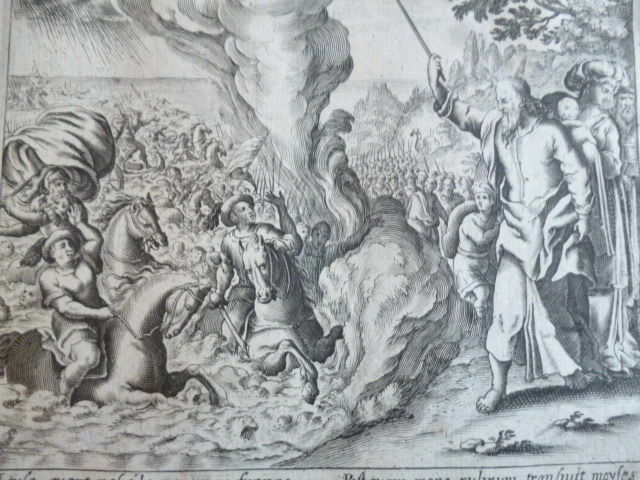 They depict Moses and some moments of his life: as shown in the photographs. 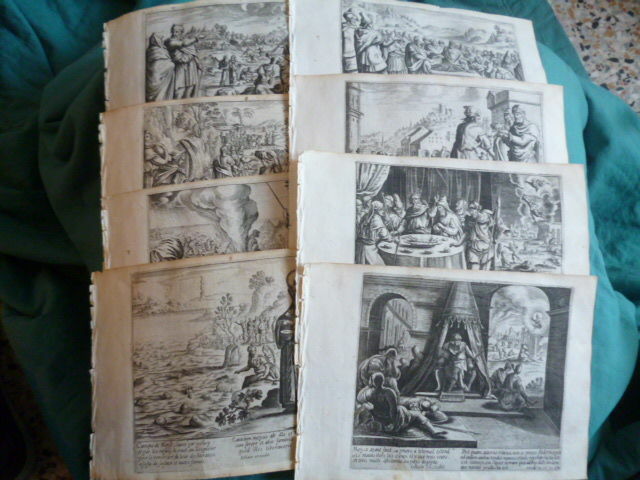 Each 22 x 14.5 cm. 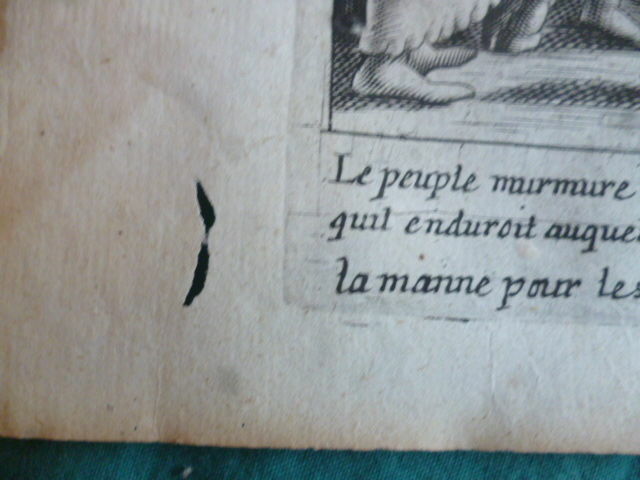 With biblical reference written in French next to the Latin text Intact, well preserved: only one has a marginal trace of woodworms. 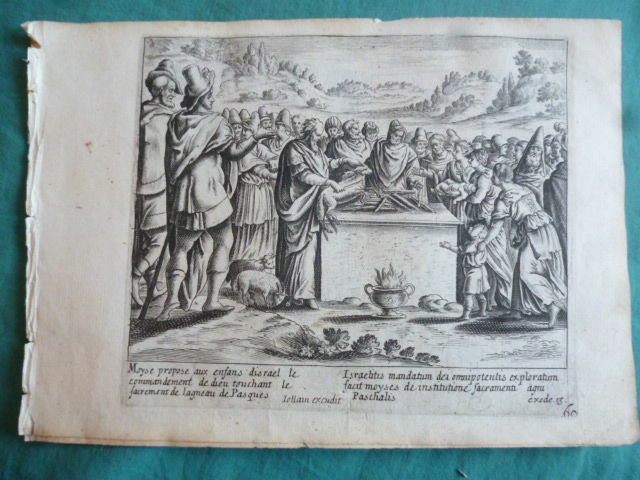 Nice item, well preserved, carefully packed, fast delivery, recommended seller! 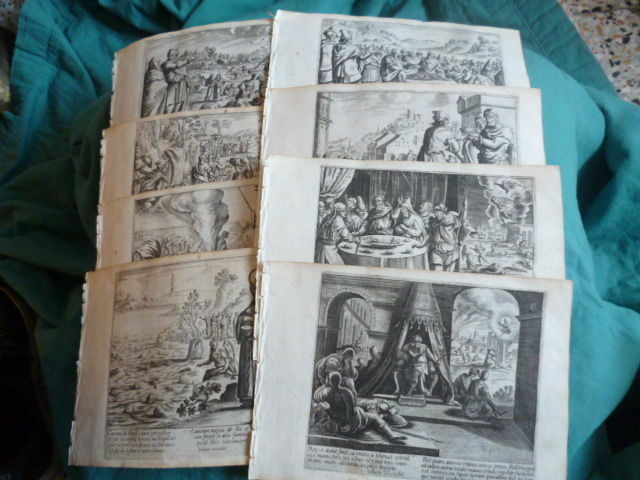 Great, well packed and fast delivery! 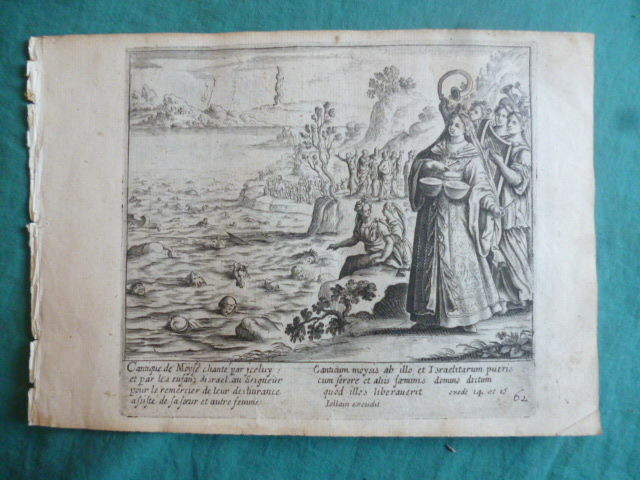 Excellent achat - très bonne description de l'ouvrage - envoi rapide et soigné - très satisfait. 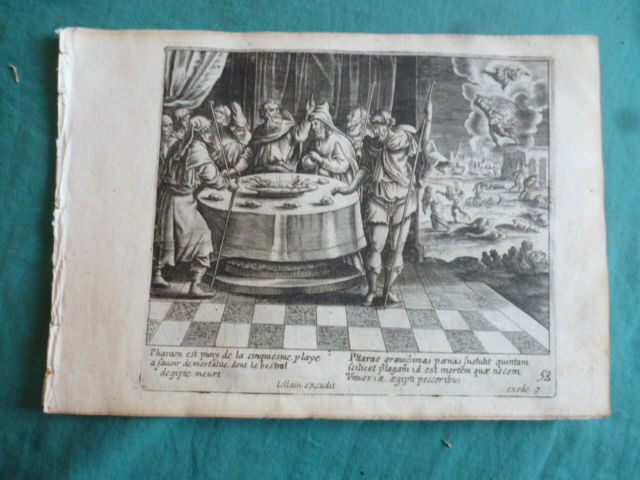 recu en bonne ordre, merci beaucoup.